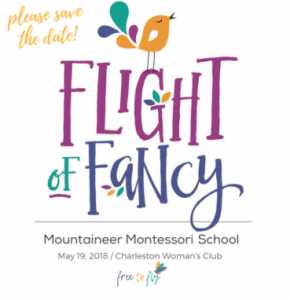 “Flight of Fancy,” the annual spring fundraiser to benefit MMS, will be held Saturday, May 19, 2018 from 7:00-10:00 p.m., at the Charleston Woman’s Club. This very special evening will benefit their financial aid, teacher appreciation and specialty programming funds. Enjoy live music, dancing, wine/beer, hors d’oeuvres…and more! FLIGHT OF FANCY will feature an unforgettable performance by some of West Virginia’s best known — and loved — musicians. Ron Sowell, a long time MMS music teacher and director of the Mountain Stage band, is bringing together an all-star ensembles of performers for a one-night-only show that you simply can’t miss! A highlight of FLIGHT OF FANCY will be an exciting auction of amazing bird houses and other works of art created by individual students and MMS classes. Take home a one-of-a-kind masterpiece and support education that elevates! Guest Auctioneer once again is Jim Strawn. PreviousPrevious post:Answers to 5 Common Questions About Foster ParentingNextNext post:Supercharge your Blog!